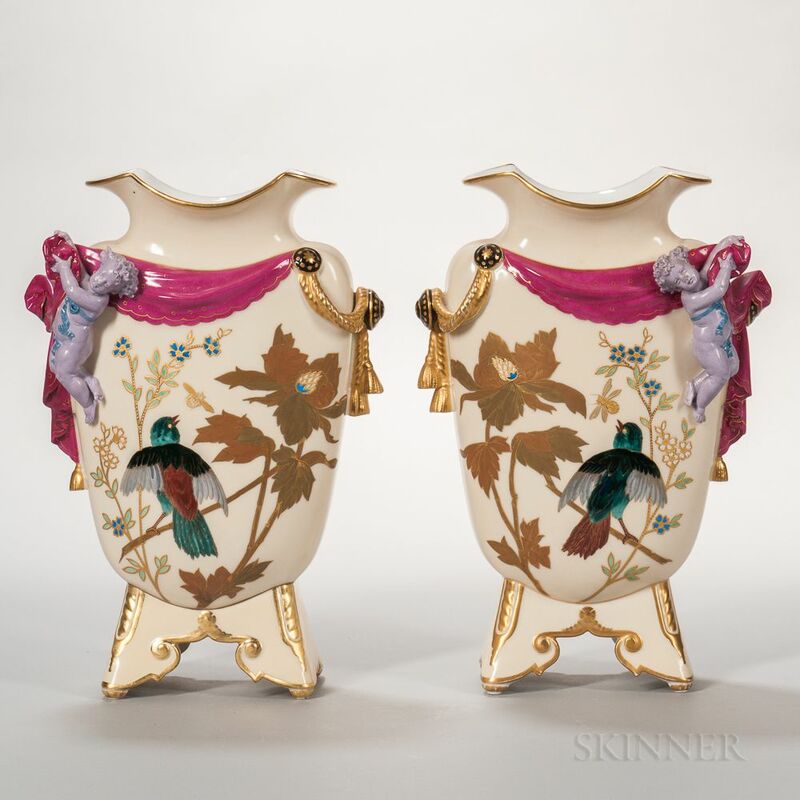 Pair of Porcelain Figural Vases, France, late 19th century, gilded and polychrome enamel decoration of infants supporting drapery to the shoulders, gilded and polychrome enameled with birds, flowers, and foliage to an ivory ground, ht. 14 in. Light scattered gilt wear to rims and along feet. No evidence of any cracks, chips or restorations throughout.